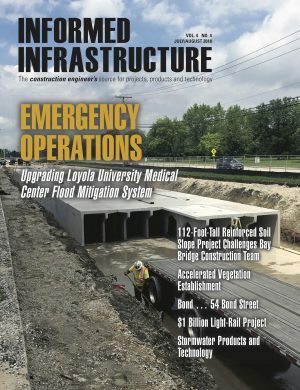 FORT COLLINS, Colo. - Synergetics Incorporated (Synergetics), a leading provider of custom software solutions, announced that it has received an award to provide Database Consolidation Services to the United States Geological Survey (USGS)'s Water Management Area (WMA), Quality Systems Branch (QSB). This contract provides critical consolidation and modernization services to the USGS and enables a streamlined data management, discovery, and dissemination capability to laboratories across the country. Synergetics has continually excelled in delivering critical custom software and Big Data solutions to Federal Agencies, the Department of Defense (DoD), and commercial clients for 23 years. "We are very pleased to provide additional services to the USGS and are excited for this partnership with QSB to meet their critical data and visualization needs," said Synergetics CEO, Mr. Rajiv Mehta. Synergetics Incorporated (Synergetics) is a Capability Maturity Model Integration (CMMI) Level 3 and International Organization for Standardization (ISO) 9001:2015 certified, Fort Collins, Colorado-based Information Technology (IT) services and products company founded in 1995 that delivers strategic IT solutions to meet the complex needs of its clients. For more information about Synergetics, visit its website at www.synergetics.com.